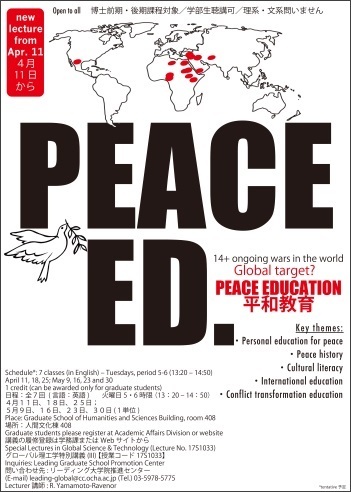 Welcome to PEACE ED.! This is an interdisciplinary and intercultural course aimed at introducing students into the field of peace education, emphasizing on the importance of understanding others in order to coexist harmoniously in the global society. Drawing on education, history, sociology, political science and economics, we will collectively engage in identifying best atitudes, behaviours and practices for peace . This course will be conducted in simple English, but you may have your say in any other language.